I popped into Costsworlds in Betws before work yesterday to pick-up some maps. 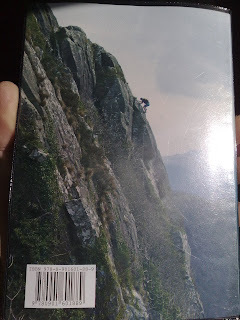 While looking for the desired map (North East Lakes 1:25000) I glanced over to the climbing guidebook shelf. The new Tremadog guide caught my eye. I picked it up, it was about the same thickness but slightly larger than the old guide. I turned it over to look at the photo on the rear cover, noticing immediately that it looked familiar...I then realised it was a photo I had taken! 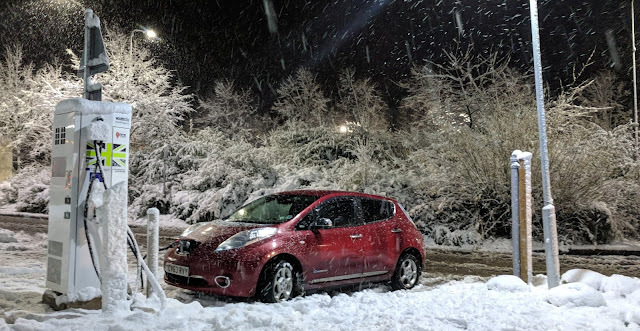 Quickly I flicked to the front, reassuringly I had been credited for my efforts. My photo on the rear! The photo is of the guidebook author Steve Long soloing a route called Princess at Craig y Gesail last summer. I had sent the photo in after chatting to Steve at the crag and helping with some route descriptions. £22 and 24hrs later I have now had a chance to pretty much read the new guide cover-to-cover. It is definitely an improvement on the previous edition. Stars to indicate route quality, route numbering and the name and date of the first ascent visible under every route description are all welcome and much needed additions. The inclusion of an extensive history section and local climbers highlighting their favourite climbs are a nice touch. It is important that the history of the area is not lost. 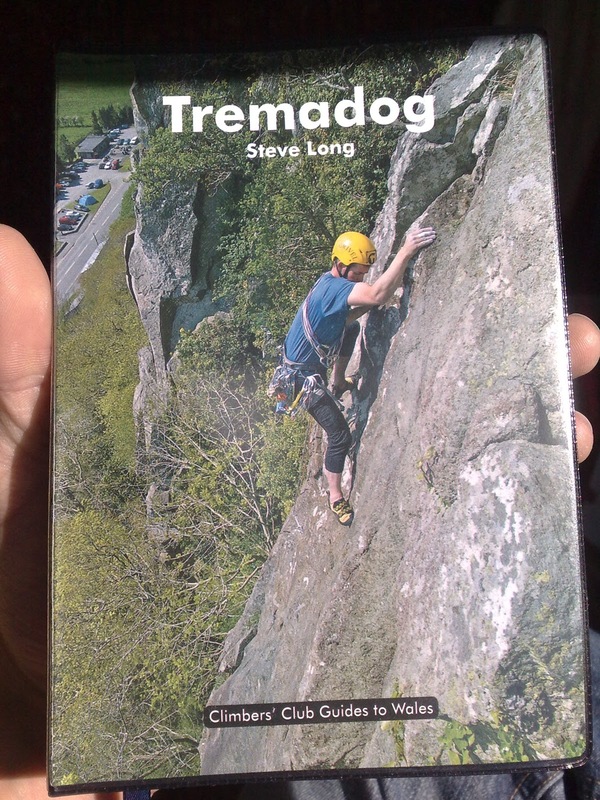 With Eric selling his cafe and moving on, the atmosphere of Tremadog climbing is set to change. The new guide includes all the modern niceties we as climbers have come to expect of modern guidebooks: colour photo topos of all crags, large double page spread photos etc. This is the first modern Climbers Club guide I have owned; I am glad they have not mirrored Rockfax, there are no little garish symbols to describe a route's attributes. While Rockfax guides are great and all made to a very high standard, I personally find these little categorising symbols take some of the adventure and discovery out of climbing a route. Also in my experience I have often found them to be wrong; in the past I have found myself pumped at the top of a route with a technical or fluttery symbol...maybe that just says more about my climbing! For me this guide book is much more than just a new guidebook to an area. This is an area which is special to me. It is the area in which I live and grew up, the area where I climbed my first proper trad route (Canyon Rib, Aberglaslyn Gorge) and took my first lead fall (Lockwoods Chimney in the rain). 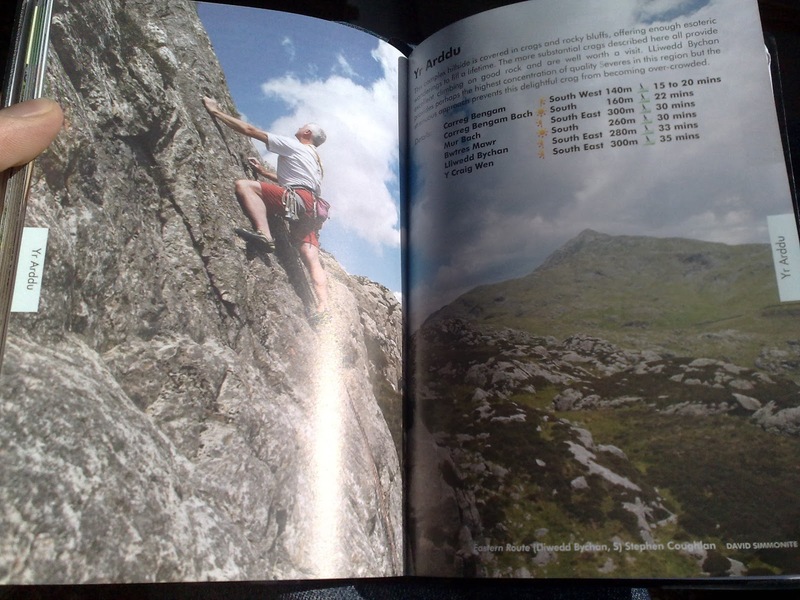 I struggle to find a crag in the guide which I've not visited. The thing which I like the most about the guide is how it brings to life all the little obscure crags such as Craig Nant Y Fedw and Carreg Bengam Bach which are a 10min walk from the back of my house. It has given me added enthusiasm to explore the area, it is often too easy to take the easy option of jumping in the van and driving for 10min down to Eric's. One thing which I feel could have been done better is the choice of action photos, obviously the photo on the rear cover is fantastic! It is a shame I do not feel the same about the front cover. It is a shot of the Fang HVS. While the Fang is a great climb (one of my favourite and the scene of an early epic!) in my opinion the shot is not nearly as inspiring as the cover on the previous guide. There seems to be a trend to put more action shots of 'obtainable' climbs (sub or low E grade) on the cover of and in climbing guides in general. I can understand the thinking behind this, as climbers who climb these grades make up the majority of the target market for the guidebook. In my opinion it is not the grade of a route which should decide its eligibility to be on the front cover but more the photogenic merit and ability of the photo to portray the ethos of the area. 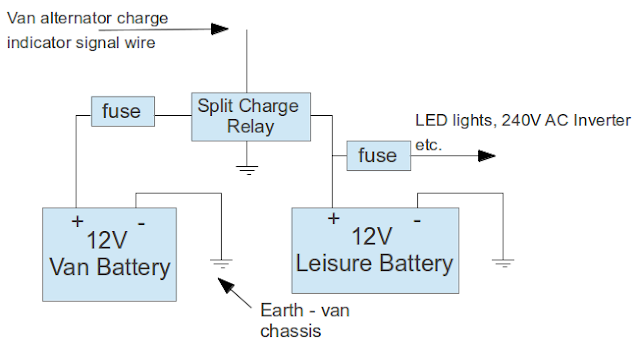 I feel the chosen cover photo fails to achieve this in the same way as the cover shot on the previous guide did. Understandably the cover choice is always going to be difficult and will not please everyone. Inside guidebooks I often get inspired by the photos. 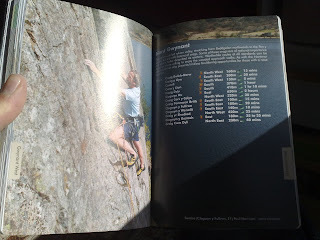 Flicking through the new guide it has occurred to me there are not as many super inspiring action shots such as Keith Robinson solo on Fingerlicker, George Smith on Swift Undercut, Cardiac Arete or Pete Robins on Neb Direct which were prevalent in the old guide. The number of action shots seems to have been reduced to make space for more photo topos which are more useful when climbing! That being said there are a few excellent double page photos in the new guide such as the one of Canyon Rib, Clogwyn y Fulfran and Clogwyn Coch and the Arddu. .....to name a just few! Thanks for the kind words, I'm glad we did justice to the area. As for action pictures, well we did the best with the available shots! Plenty of scope for the next edition though, which will be the best guidebook ever! Watch out for the online database as well, that't the real innovation - putting the guidebook production properly into the hands of the club members. Did you get in touch with Pete? He wants to say thank you properly to all our contributors. Cheers Steve, where is this on-line database you speak of? Sounds like a great idea. Iv sent Pete a message through his webite.